James Daniel Bain Fraser’s mother was a daughter of Roderick McKay, a blacksmith and one of the last survivors of the Scottish immigrants who arrived at Pictou on the hector in 1773. Part of Fraser’s early education may have been at Pictou Academy under the tutelage of Thomas McCulloch*. The family apparently moved to Halifax prior to 1812, left again for Pictou in 1818, went to Saint John, N.B., around 1820, and returned to Pictou in 1824. There in June of that year Fraser opened a drug store. Two of his brothers, Robert Grant and Thomas Roderick, were in the same business; a third brother, John, was a professional diver in Europe. Fraser soon developed diverse business interests. He was the local agent for the Eastern Stage Coach Company, which on 18 June 1828 began a service between Halifax and Pictou that lasted for 13 years. Despite government contracts and subsidies, the company was only a marginal success. In 1840 he opened a stone quarry at West River, N.S., and shipped grindstones to Boston. He also found time to hire a diving apparatus to recover the guns of hms Malabar which had foundered off Prince Edward Island in 1838. He afterward complained bitterly about the settlement he received from the naval authorities. His was a pioneer effort in underwater salvage on the Maritime coast. Throughout this period he continued to expand his drug business, serving eastern Nova Scotia and points as distant as Halifax and Charlottetown, P.E.I. By 1841 he had three shops in Pictou. Probably encouraged by the two successful uses of chloroform, Fraser administered the drug to his wife at the birth of their seventh child, Robert Peden Fraser, on 22 March 1848, thus becoming the first druggist to manufacture and use chloroform at a childbirth in what was to become Canada. Immediately rumblings were heard from fellow Presbyterians who did not, as yet, accept the use of any pain-killing drugs during childbirth. It has been suggested that Fraser was censured by the Court of Session of Prince Street Church (Pictou) for his act, but no evidence is available. It is probable, however, that he left that church, for neither the birth of his seventh child nor his own death is entered in the church records. 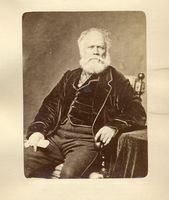 Fraser filled several positions in municipal government, including commissioner of streets, 1837–41, member of the Board of Health, 1845–48, and fire warden, 1852–62. 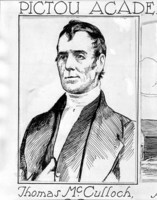 On 31 Dec. 1841 he was made a justice of the peace for Pictou County. He was persuaded in 1845 to offer himself as the Liberal standard bearer in a by-election against the Tory Martin 1. Wilkins*, later attorney general of Nova Scotia. The election was a wild contest. Even a 10-foot high fence erected down the main street of Pictou to separate the contending parties failed in its purpose and a riot ensued. The election was nullified, but Fraser did not enter the subsequent by-election. In the provincial election of 1863 he carried the Liberal banner in Pictou West, but was unsuccessful. 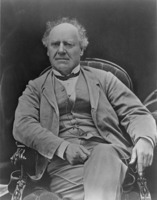 With the advent of the confederation struggle he sided with his old friend Joseph Howe*. Fraser had a variety of other interests. He was in 1834 one of the first members of the Pictou Literary and Scientific Society, where he introduced many of the newest scientific discoveries, and a member of the Agricultural Society founded in 1837. He also became a charter member of the Oriental Division, Sons of Temperance, in 1841 and rose to become grand worthy patriarch of this powerful organization in 1861. During the 1850s he turned his attention to the coal fields of Pictou County. He discovered in 1859 the Stellar coal seam. This contained a high-grade coal shale from which top quality coal oil was extracted, but by 1864 the venture had been abandoned following the drilling of the first oil well in the United States. With Sir Hugh Allan* and a New York business syndicate, Fraser formed the Acadia Coal Company in that year to work the MacGregor seam (named for James Drummond MacGregor*). Besides these mining ventures he was a director (1857–61) and president (1862–69) of the Pictou Gas Light Company and a director (1865–68) of the Pictou Home Marine Association. Dalhousie University Library (Halifax), Pictou Literary and Scientific Society, minutes, 1834–55. PANS, MG 1, 319–27 (Fraser family papers); Vertical mss file, Pictou, pharmacy. Colonial Standard (Pictou, N.S. ), 11 May 1869. Royal Gazette (Halifax), 15 March 1848. Belcher’s farmer’s almanack, 1835–70. Fiftieth anniversary of the Nova Scotia Pharmaceutical Society, 1875–1925; historical notes, lists of officers and members (Halifax, 1925). George Patterson, A history of the county of Pictou, Nova Scotia (Montreal, 1877). Allan C. Dunlop, “FRASER, JAMES DANIEL BAIN,” in Dictionary of Canadian Biography, vol. 9, University of Toronto/Université Laval, 2003–, accessed April 20, 2019, http://www.biographi.ca/en/bio/fraser_james_daniel_bain_9E.html.